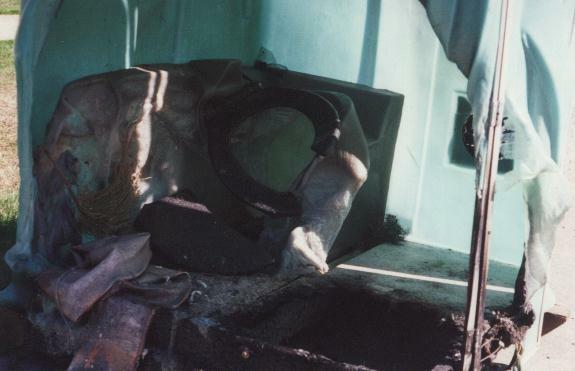 Picture of melted outhouse and toilet. Outhouses can be very useful, but, like many things, can get vandalized. Someone lit a fire, or maybe just left a cigarette, in this one and the fire melted things beyond use. Image taken somewhere in Skagit County.